Sushi Sushi is a restaurant passionate about serving deliciously fresh and healthy sushi with over 100 stores across Australia. The franchise is born out of an idea to bring sushi out of expensive restaurants and into the hands of everyone who has a desire for quick, fresh, tasty, affordable and healthy food. Their success has been built on a love of tasty and healthy Japanese food sourced from only the freshest quality ingredients. It’s vegetarian friendly, kid friendly, and the largest sushi franchise business in Australia. 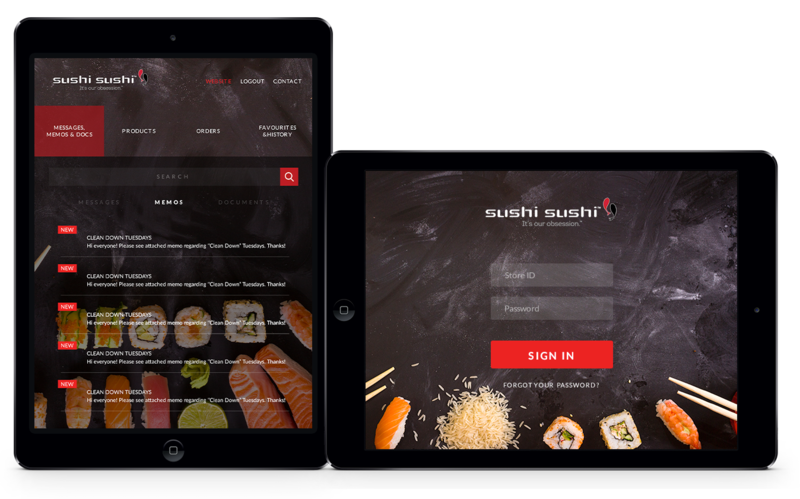 Our team developed their website and mobile applications that were made available for all SushiSushi customers so as to streamline the franchise’ ordering and stock control. This then allowed their headquarters to have transparency given that through the system we created for them they can readily access real-time data on their inventory, supply chain, and integration through POS. Also, the new system had improved the accuracy, consistency and security of the company’s data, and made restrictions to data to be enhanced. At the same time, it’s easier to provide high-quality customer service using the new application we provided. Sales and customer service people can interact with customers through faster, more accurate access to customers’ information and history. This is because through the real-time functionality we had provided, the franchise’ marketers now has the capability to track consumer behavior. The system was also used to adjust operations and processes to best meet the needs of the customer as well as mitigate any real or perceived risks that eventually have a direct and positive effect on the consumer’s bottom line.